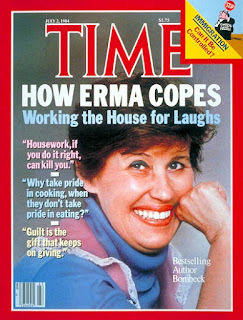 Erma was an American humorist who achieved great popularity for her newspaper column that described suburban home life from the mid-1960s until the late 1990s. She also published 15 books, most of which became bestsellers. 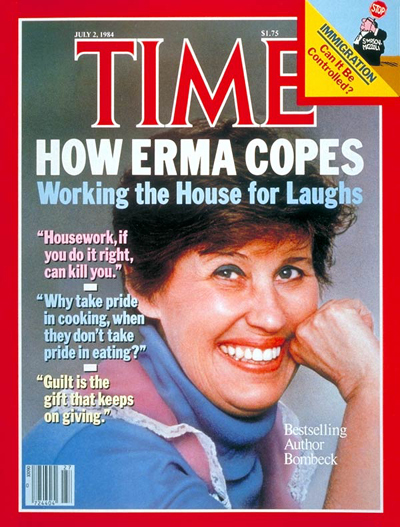 From 1965 to 1996, Erma Bombeck wrote over 4,000 newspaper columns, mostly humorous, chronicling the ordinary life of a mid-western suburban housewife. By the 1970s, her columns were read by 30 million readers of the 900 newspapers in the U.S. and Canada.